Kyle Devitte from Inside Lacrosse spent an entire day at the Coast Guard Academy during the first week of October featuring the rise of the Coast Guard men's lacrosse program in The DIII Life. NEW LONDON, Conn. — On March 6, 2018, the Coast Guard men’s lacrosse team defeated Wesleyan College, 10-9, in overtime. At the time, the Cardinals were the No. 2 team in Division III. It was the most impactful victory in the history of the Coast Guard lacrosse team, and the biggest upset of the 2018 men’s lacrosse season across all divisions. Wesleyan went on to win the national championship with the albatross of the Coast Guard loss slung around their collective necks. Built on a hill that descends into the Thames River, the Coast Guard Academy campus is nestled along New London’s shoreline. Their athletic fields overlook the water and evoke a serene atmosphere when not in use. Conn College is just across the street, Mitchell College is just a few miles down the road, and DI men's lacrosse national champion Yale is an hour westward. Though the atmosphere is picaresque there is an element of confinement to the grounds, which hosts nearly 1,000 students. More than 60 percent of the cadets play a sport at the USCGA, which contributes to the already ultra-competitive nature of the institution. Chances are that you’re looking at college, you’re in college or you went through college, but you didn’t go through the Coast Guard Academy. To call the workload robust would be disrespectful to the word “robust.” From their waking moments, a Cadet’s life is scheduled and measured. Everyone on the Coast Guard campus always has somewhere to be at all hours. The entire academy eats together in one dining hall for meals, which sounds like bedlam but in actuality is more like an organized tension dump. Cadets have the opportunity to make announcements during lunch that range from official declarations to blithely constructed roasts of one another’s skills. A closer look at the Coast Guard men’s lacrosse program doesn’t so much reveal a magic formula for success so much as it uncovers a different, and quicker, way to build success at the Division III level. Though the Coast Guard Academy has had a lacrosse team for decades, they have been a varsity program for four scant years. However, the Bears’ record has improved every season since, culminating in last year’s 14-4 overall record. 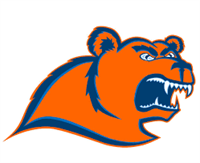 The Bears play in the New England Women’s and Men’s Athletic Conference. (It’s also colloquially known in New England as the conference that Springfield College wins every year in almost every sport.) The other institutions include MIT, Emerson, Smith, WPI, and Clark University. Diverse and prestigious schools that are known throughout the country aside, Coast Guard went 4-10 in its last club season in 2014; it played a mishmash of DIII and club teams before it was indoctrinated into the NEWMAC the following spring. The Bears won two conference games in 2015, three in 2016, four in 2017 and six last season, including their first appearance and first win in the NEWMAC playoffs with a 17-9 pasting of MIT. The Bears went on to lose to Springfield in the NEWMAC conference finals 11-7, but the entire league was put on notice; Coast Guard were more than a rising collection of increasingly impressive signature wins. They have accomplished this seemingly improbable feat by collecting an impressive array of talent from traditional lacrosse areas. The current roster is rife with top-tier talent from Maryland and Upstate New York, including former Boys Latin midfielder Anthony Wyler, Broadneck LSM Connor Ellis, and Severn School goalie Trey Johnson. Last year’s leading scorer Riley McNulty (also from Broadneck) shattered school scoring records with 71 points. All of those players, with the exception of McNulty, are seniors in 2019. Wyler was previously committed to Air Force, and Johnson garnered interest from Navy in the recruiting process. The service academy connection exists for most of the players on the current Coast Guard squad, though it’s not always directly connected to lacrosse. A service academy, for those not ensconced in the culture of the Armed Forces, is designed to educate and instruct individuals for officer status in the different branches of the military. For the purposes of comparison, the Coast Guard Academy is the most similar to the Merchant Marine academy at King's Point, which functions as its chief rival in most competitive endeavours. Other service academies include the United States Military Academy (also known as West Point), which prepares officers for the Army, The Air Force Academy, which prepares officers and pilots for the Air Force and the Naval Academy, which prepares officers for the Navy and Marines. The students at each academy go by different designations, but the goal is the same: train individuals to become leaders in that particular branch. Attendees do not pay tuition; in fact they are paid by their designated armed forces branch throughout their time at their respective institution. At the Coast Guard students are referred to as Cadets. Upon their graduation they receive the rank of ensign and depart the Academy trained to do nearly every duty on a ship from plotting courses to crisis management. Coast Guard graduates are required to serve for five years, and they have the option of forging a career in the Fleet or leaving to work as a civilian. The head coach of the Bears is Ray LaForte, who is entering his fifth season at the helm of the CGA armada. He coached under Jeff Long at Ithaca, and he served on the same staff as John Tillman and Rich Barnes. He didn’t grow up as a lacrosse player, but he came to the sport after coaching football for several years at Ithaca. LaForte is in his 13th season as the offensive coordinator for the Coast Guard football team. He is, most certainly, a player’s coach and carries a confident and positive demeanor. He talks with speed, volume and purpose at all times. As a result, LaForte is capable of holding even the most disaffected youth’s attention with his assertive presence. He doesn’t have to be the greatest recruiter on the planet as the Coast Guard is plenty attractive on its own merits, but there is no doubt that it helps. LaForte used that game as a rallying point and went out, with the support of the academy, to construct what has become the best class of cadets to play men’s lacrosse at Coast Guard. They had 54 kids try out this fall for the team and five of them walked away on their own because they knew they weren’t good enough to play. It’s not always a new benchmark for excellence when kids cut themselves, but at this point in the program’s development that’s exactly what it is; a totemic indication of what happens when talent meets sacrifice. The Sunday after homecoming, the men’s lacrosse team holds a fall fest tournament that functions as a showcase for new recruits and alumni alike. On the surface this is standard procedure for a DIII team utilizing their play day. However, coach LaForte turns it into more than a showcase — it becomes an event. This year LaForte expects there to be 100 recruits. Each one of those recruits brings their parents and/or family, the alumni come and stay to talk with those recruits, and the players invite their parents as well. Opposing teams will also travel with family and friends. Before you know it, nearly 1,000 people are on hand for a fallball tournament that is played in the football stadium. It would be Machiavellian were it to contain an ounce of malignance, but instead it’s an organic celebration of the program. Athletic Director Timothy Fitzpatrick is one of the other architects of the men’s lacrosse program. Fitzpatrick has been at Coast Guard for seven years and has been instrumental in the rise of the men’s lacrosse program and the entire athletic department. He is smooth and calculating in person, simultaneously putting you at ease and ready to engage. Fundraising has been one of Fitzpatrick’s strengths throughout his career with the hallmark being his work in helping to negotiate Indiana University’s landmark deal with Adidas in his time there prior to Coast Guard. The life of Coast Guard cadet is not glamorous or easy, but there is room for it to become nuanced and meaningful. The Academy is not for everyone as the demands of a strictly regimented schedule — especially in the first year — can cause some recruits to withdraw. Those that stick with it usually have to find another gear within to shift up to in order to succeed. It’s an invaluable lesson in life taught by traditional military values. For players on the men’s lacrosse team the privilege to build a legacy of success for the past four years has been nearly as fulfilling.